Remember that fresh-scrubbed, pj’ed-up, ready for bed feeling? 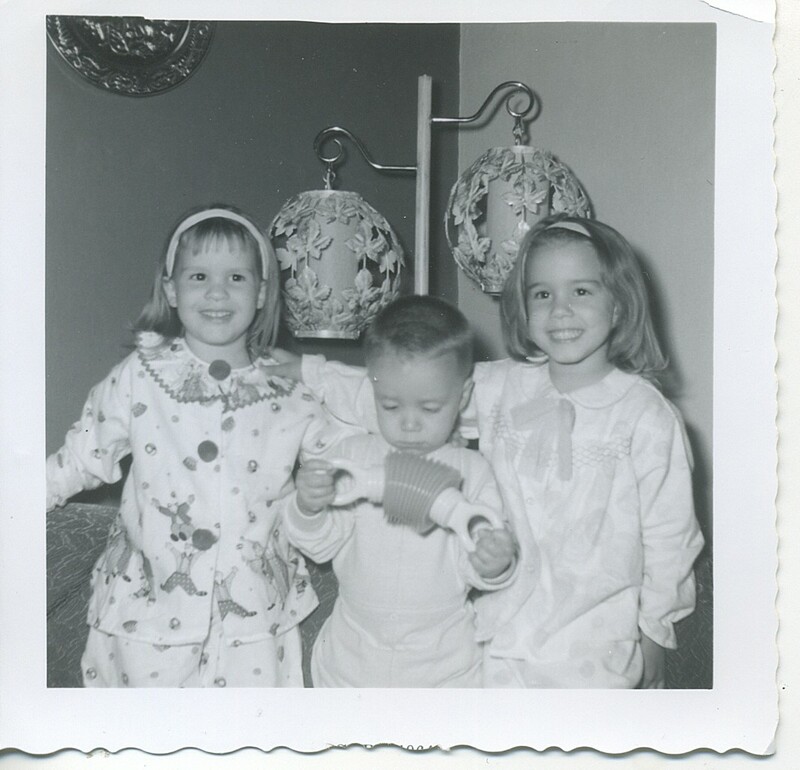 The three happy children above: Me, in the festive clown pajamas; Jeff, the pensive child in the middle attempting to figure out how his new toy works; Chris on the right with the dazzling smile. The six children in our family have been divided into two groups for most of our lives: the big kids (above) and the little kids (Gwen, Anne, Matt). Never mind that the baby is over 40 now, we maintain the groupings as verbal shorthand. We were reminiscing a couple of years ago, and one of my parents, instead of calling the three oldest the “big kids”, accidentally called us “the originals”. You can imagine the uproar that caused! On a completely different note, I still love getting ready for bed and putting on my jammies. Visiting a friend last fall, I went into the bathroom to wash up and change. When I came out, my friend said, “Don’t you look festive!” I used that word to describe my childhood circus clown p.j.s, and I would like to note that its a great word for a three year old clown. In my current stage of life, let’s just say I’ve decided that particular pair of p.j.s will now be reserved for home, not travel!